Craig Mack, the Long Island rapper who found fame on Diddy’s Bad Boy label, has died at age 46, his producer confirmed to the Daily News. Mack, who launched to hip-hop acclaim with the best-selling summer hit “Flava in Ya Ear” in 1994, died of heart failure at a hospital near his Walterboro, S.C., home Monday. “God bless my friend. He was a good friend of mine,” said Alvin Toney, who produced Mack’s albums “Project: Funk Da World” and "Get Down Remix." Toney visited Mack last week at the Overcomer Ministry church in Walterboro to film a documentary about the retired rhymer and his decision to pass on fame for a life of deep religious conviction. Tony said Mack then told him that he had been ill for some time. Mack is survived by a wife and two children, both adults, Toney said. Mack’s death rocked the biggest names of New York hip-hop. Brooklyn’s DJ Scratch remembered Mack as the hardworking roadie who helped set up and break down his turntables on tours. “Rest In Peace Lil Bro,” he wrote in an Instagram post. Like Mack, “Just A Friend” rapper Biz Markie got his start on Long Island. 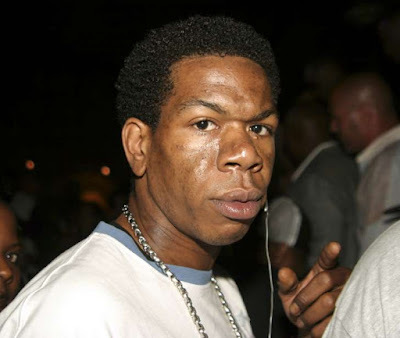 “R.I.P TO MY MAIN MAN CRAIG MACK ANOTHER GREAT ONE GONE,” he wrote.